This winter has been brutal for much of us here in the United States. From snowstorms to extreme polar temperatures and non-stop rain, I think we can all agree a tropical getaway is on our minds. Whether planning to escape the never-ending snow and cold or mapping out your tropical honeymoon destination, here are a few luxury travel destinations full of good drinks, intense sun, and endless beaches. It just sounds exotic, doesn’t it? This French Polynesian getaway is filled with coral reefs and turquoise waters, making this a must-see patch of paradise for snorkelers and divers. Beyond the water, the island has been named one of the best honeymoon destinations in the world time and time again. Hawaii gets as many visitors in 10 days that Bora Bora receives in an entire year, making it the perfect romantic paradise to escape it all. Sure, the flight might be a bit longer, but the calmness and serenity make it all worth it. The Maldives consists of hundreds of islands in the Indian Ocean famous for its overwater bungalows and underwater restaurants. That’s right, foodies! You can fine-dine among wild sharks and stingrays at Michelin star restaurants. Is that still not enough? One island resort, the Conrad Maldives Rangali Island, even offers guest rooms underwater. Each of the nation’s 90 resorts is situated on their own private island, providing every guest the ultimate luxury destination experience. 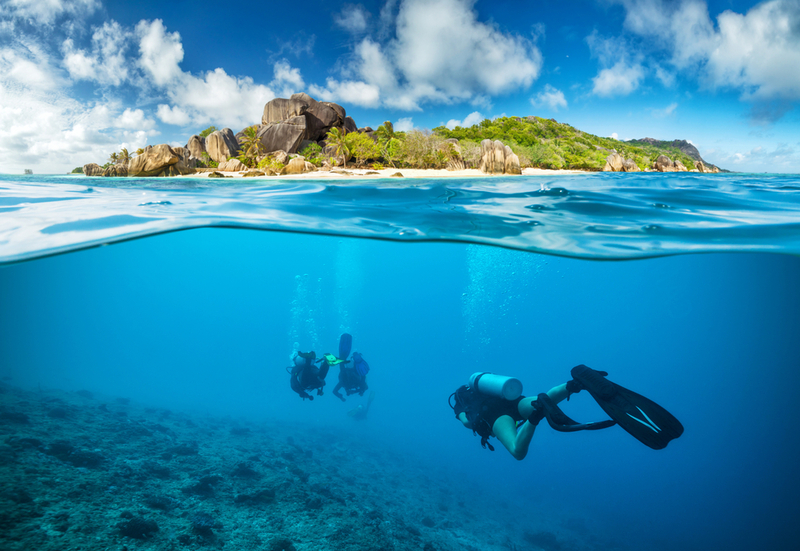 The Seychelles are quite the journey, but what you’ll find is some of the best secluded and inspirational beaches and ecosystems on the planet. It’s quiet and inviting island culture has attracted everyone from Duchess Kate Middleton to 1950’s romance novelists. Beyond the romance, the small African islands are home to some of the world’s rarest birds and biggest tortoises. Ready for some interesting history? History notes that pirates used the Seychelles as hideouts, and to this day a treasure worth upwards of $160,000 has yet to be found. Bali is a world of luxury without the big price tag. Instagram has made this section of Indonesia one of the fastest-growing tourist destinations in the world. From 10,000ft volcanos and evergreen rice fields to tropical beaches and endless infinity pools, Bali is the perfect mix of luxury and adventure that everyone can afford. Whether looking for your first big retirement trip or searching for an exotic honeymoon destination, Bali is a tropical paradise fit for all. Fiji is known as the “Soft Coral Capital of the World” because the Astrolabe Reef surrounds all of the country’s 333 (yes, 333) islands. If that isn’t impressive enough, the small Pacific island nation is home to world-class surfing and three championship-level tropical golf courses. Travelers can either opt to spend their time on a private resort island or indulge in Fiji’s rich culture in towns like Suva. Fiji’s convenient location en route to Australia and New Zealand make it the perfect stopover for a few extra days of ultimate relaxation. The world is full of enticing island luxury travel destinations to make your tropical paradise dreams come true. Contact me at Plan Your Perfect Vacation to start planning your beach getaway! Schedule a call with me here.